Welcome to Pyrus Flowers, a flower agency geared towards providing our clients with stunning and delightful floral designs since our inception in 2014. During our time of operation, we have received praise from several party guides, owing to our professionalism as well as our ability to bring dreams to life. We are Pyper and Rusty Davis, partners in both life and business, and together we run this agency with our team of dedicated florists who are knowledgeable in all things flowers. We specialize in arrangements for weddings, corporate events, life’s special milestones such as retirements, social events as well as funerals. Additionally, we also provide bouquets for when you want to surprise that special person in your life. Whatever floral arrangement you need, we have it. One of the things in which we pride ourselves is our excellent customer service, something that has had people coming back to us for more services. How do we achieve this? It all starts with a meeting where we get to interact with you as you learn more about the team. Here, what we need to understand is why you need the flowers and the kind of guests that will be at the event. As we talk to each other, getting to know more about your needs, we will have an idea as to what flowers we can use in the selection. We also get a rough idea of the design that can work. Through bouncing ideas off of each other, we can provide you with a projection of what we think you want and if we agree on this, we can move on to the next step. If we do not hit the nail on the head, we will keep working to make sure that we get it right. We do not get in the way of what you need but instead, we help you realize your dream. At this step, we are all on the same page as to the kind of event it will be as well as what you wish to communicate through the arrangements. We will then walk you through our broad portfolio where you get to see samples of work that we have done in the past. We start with a wide range before narrowing it down with the help of our florists till we get to what you would like best. Here, we choose the setting that we will use, as well as the colours and styles that best match the event. Additionally, we ensure that we stay on top of all the floral trends on the market so you are sure to get something that will stand out. 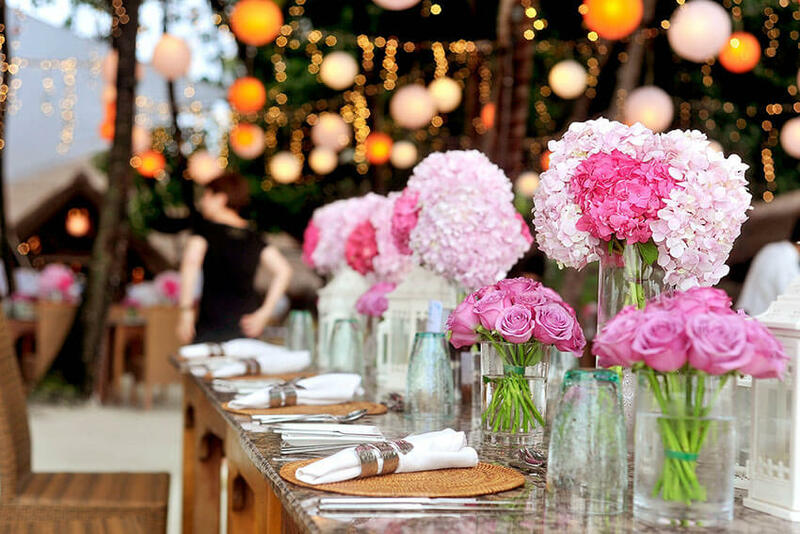 We are all about the details, and one thing that you will not see in your event is drooping flowers. We ensure that we have the freshest flowers for use during the occasion as well as high-quality materials for the setting. Once we are sure that we have more than exceeded your expectations, we move in for the finish. We understand that planning an event takes up a lot of time and energy and for this reason, we will not bother you with questions and last-minute changes during the event date. That’s why we have the preliminary stage where we sort out details as to the when and where. On this day, you can relax and enjoy the atmosphere as you walk into the magnificent setting that will be waiting for you at the venue. With these four steps, we guarantee that your event will be a success. We recognize that all couples are different and for this reason, we take time to understand you as well as the details of your wedding. We then work on floral designs that not only reflect the theme of the day but ones that also work to complement the feel of the occasion. We look into everything from which flowers will be in season all the way to how the flowers will blend in with the chosen colour schemes. Not only do we provide floral setups for office parties, but we also work together with clients in need of some great arrangements for their gala dinners, product launches, conferences, award ceremonies as well as other significant events. Whether you need a floral arrangement for your reception or are thinking of getting something that will make your office space stand out, we have something for you. We work with your budget to see how we can make the most out of the available resources while guaranteeing your success. Under this umbrella, we have birthdays, anniversaries, proms, retirements as well as other occasions which hold a deep meaning to you. We understand that it can be hectic to put together such parties and we ensure that the design process is a breeze. We not only incorporate creativity and fun at these events, but we also ensure that they are memorable. Contact us, and we’ll work out an arrangement that will have you beaming in glee. Is it a concert, a charity, a grand opening? Whatever it is, you can be sure that we will bring our A game to the event. 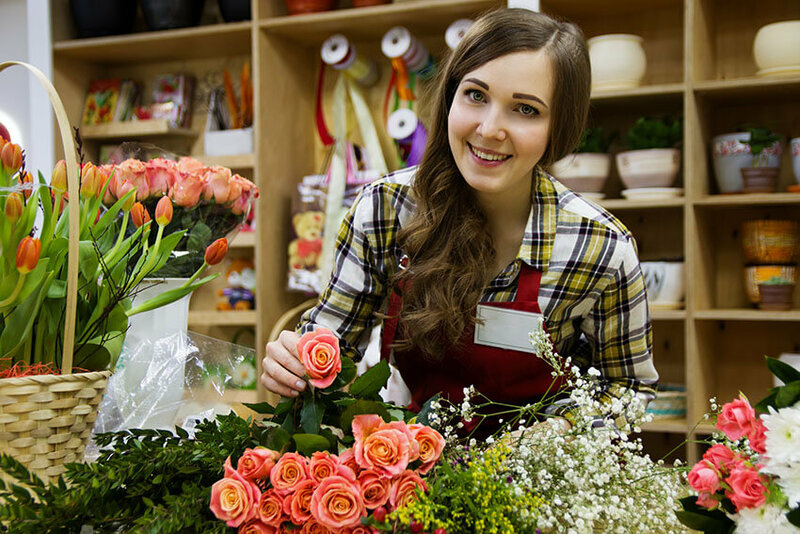 With lots of creativity in tow, our florists are sure to find ways to bring the fun to the social scene while keeping in line with your budget. Losing a loved one takes a toll on both family and friends, and we are here to help ease the pain during such trying times. We will work closely with you to figure out what arrangements you would like for the church, graveyard and the casket, among other areas while respecting your period of mourning. Whatever event you have in mind, contact us, and we are sure to work something out. Thank you!